I’ve been away and loving life for a little bit. Being off from school and free from many of they day-to-day stresses of “normal” life has offered me the opportunity to take really good care of myself and spend time with people I love. JB and I were lucky enough to spend some time at the Obi-wans’ house in Colorado with some of my siblings. It was a ball and included waking up to a little angel every morning. Nope. It sure doesn’t get any better. 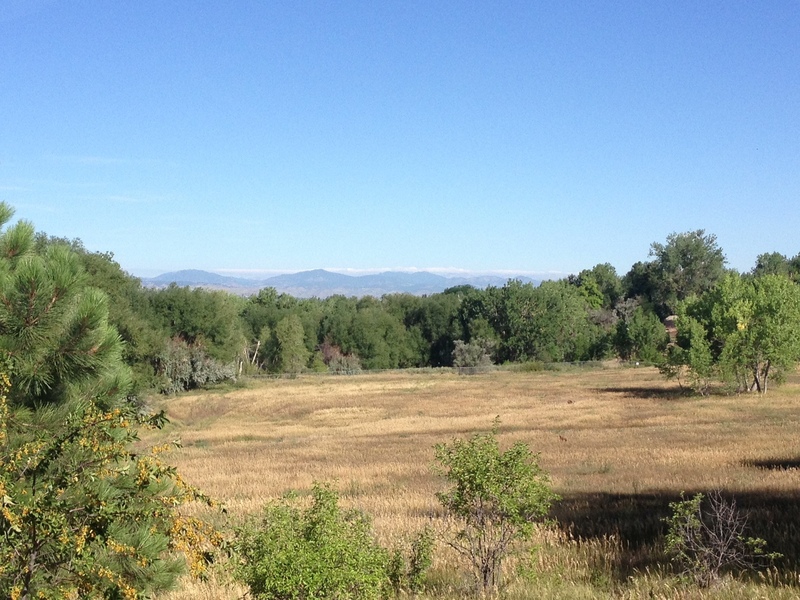 Fortunately/Unfortunately, being in beautiful Colorado also means running at a mile above sea level. The air is thinner and every run felt like a death march. 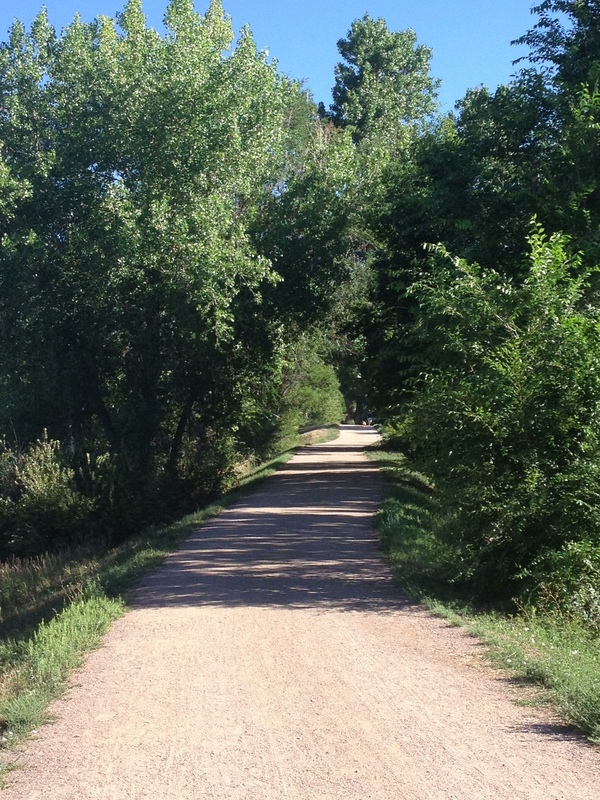 I love running back home where there are trails and paths and great, safe places to run all over Colorado. Everyone–I mean EVERYONE, says “good morning” or head nods and traffic actually stops for pedestrians in crosswalks. Which is good because I’m pretty sure if anything at all had made me stop I would have sat down and given up on every run. Because there is less oxygen in the air, my blood became more viscous (thicker) and was operating on less “fuel” per breath = I got tired a whole lot faster than I normally do at sea level. So, what’s a girl (or guy!) to do when getting all “Rocky Mountain hiiiiiiiigh, Coloradooooo” while training? Bring fluids everywhere. You can get severely dehydrated at altitude in a flash. Even my 6-milers required water. Do it. Try cross-training in addition to your run if you’re really itching for more of a workout. Run slower. Run shorter. Your body will not function the same at 5280ft. so don’t expect it to. It’s maybe not the time to do your longest run of the season. Plan runs when the sun is low. You are 5280ft. closer to that burning ball of fire and will get burned/dehydrated much faster. Also, sunscreen. This is one of those times to just enjoy the run. The longest I ended up running in a single stretch was 9 miles. And I was totally spent by the end of it. 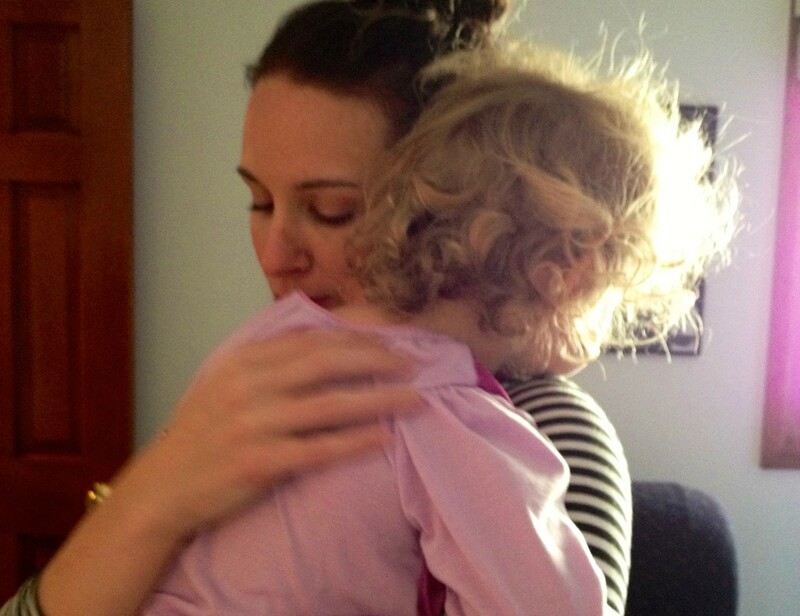 Good thing I had someone to give me a hug when I got back. Peanut hugs are the best kind. You can totally keep your training up while traveling above sea level, but be mindful that your body is working much harder up there than it does down here. And if you feel any of the symptoms of altitude sickness, seek medical attention immediately. It’s no joke. Enjoy the run when you’re up in the mountains. And don’t miss out on those little person hugs. They’re worth more than any finisher’s medal at any marathon in the world. I hope the Obi-Wans are well. I leave for Istanbul on the 14th and look forward to reading your posts on the other side of the world— but the same latitude as NYC! I feel your pain about running in new places. I’m in Vegas visiting my new niece and on my first run, I didn’t leave the house until after 10AM. Temps were already in triple digits, and about 20 minutes in I could feel the dehydration symptoms. Learned my lesson and started running before sunrise and take my camelback with me. The peanut is adorable! Yowza! Vegas heat is no joke. Pre-dawn runs FTW. I always have a tough time getting up and out early when I am away…when I was in Chicago the Lakefront Trail might as well been the desert! I love running on the Lakefront in Chi-town! Beautiful at sunrise. She is so adorable!! 🙂 I can’t imagine running in a higher altitude like that. The humidity alone here in NYC has damn near killed me on every run this summer! I used to try to run when I was in Denver for work, and always ended up doing cross training because I felt like death. I’m amazed you were able to do 9 miles! Full disclosure: I’m at 18 for training and those 9 felt like 20.